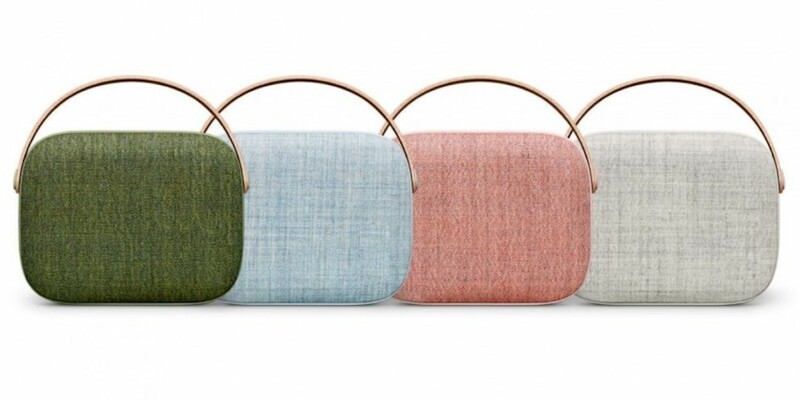 Roughly the size of a small handbag, the Helsinki is available in green, blue, rose or grey. 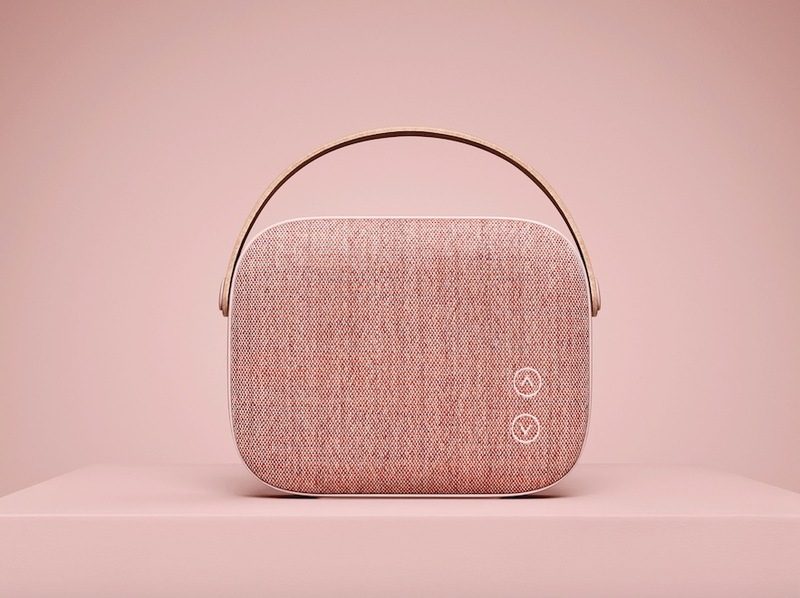 The aluminium body gives it a distinctively solid feel without it weighing the same as a small windowless building, and its speaker grill is covered in a wool fabric woven by Danish textile designer Kvadrat. Rounding things out is a detachable leather strap which adds to its handbag-like looks. The overall effect is very swish. All told, it is a cool piece of faux-retro gear. Tucked away behind its designer woolly grilles is a four-channel digital amplifier that feeds a dual 50mm full-range aluminium cone with neodymium magnet drivers. This setup is complemented by dual 60mm woofers that use flat speaker drivers that are also powered by neodymium magnets. Its front panel is home to its volume controls which appear as arrow buttons sewn into its woollen grille. 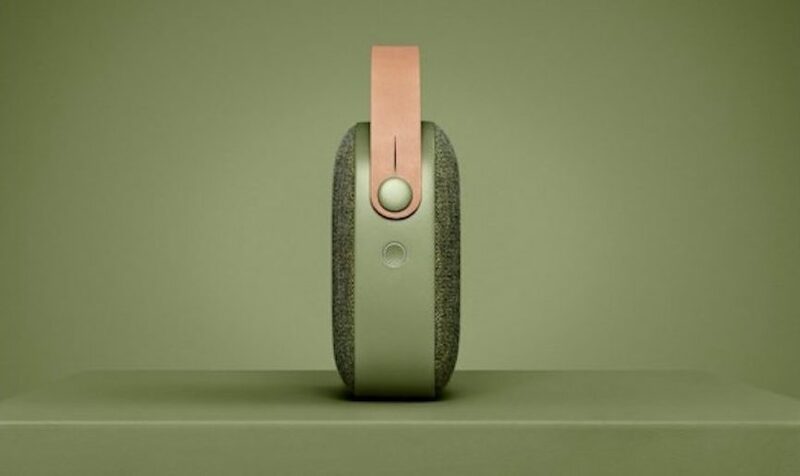 The volume controls are also NFC antennas for pairing zone NFC-enabled media devices. For non-NFC gear, a button on the right side will manually send the Helsinki into pairing mode and act as its power on/off control. The controls are minimal, and some may find the lack of playback controls frustrating, but the controls they have are intuitive and well laid out. Around the back there’s a socket for the included power adapter and a 3.5mm aux input – a 3.5mm audio cable is even bundled. A line in is hellishly handy and in my humble opinion is something other Bluetooth speaker makers would do well including. On its underside, there are rubber feet to dampen vibration and keep the Helsinki stable. Vifa’s documentation says battery life is around eight hours, but your mileage will vary depending on volume levels and if you use the Aux In or Bluetooth. After about three minutes with no audio, the Helsinki thoughtfully has a snooze. This sleep mode helps extend battery life. Throwing on some Salmonella Dub to see how well the Helsinki plays with some messy bass, I was moderately impressed. Intentional distortion abounds through many Salmonella Dub tracks yet even at high volume the Helsinki sounded clean, playing the pre-recorded snap crackle and pop while avoiding bottoming out with heavy bass distortion. A quick check revealed that this is due to some smart digital signal processing which actively limits bass output at high volumes. As my neighbours will probably attest, the Helsinki is a bit of an audio Tardis and is able to get quite loud, despite its petite size. Throwing some TrinityRoots on revealed a pleasant richness in the low-frequency department and plenty of listenable highs and mids. The audio was crisp but not shrill and felt warm. All told it was a bit of a pleasant surprise. Rounding things out, I fed some NZSO goodness in and found it handled Bach with aplomb. Strings and brass sounded clear and bright. The Helsinki again provided solid depth with balanced highs-mids which combined to deliver a spacious sound. 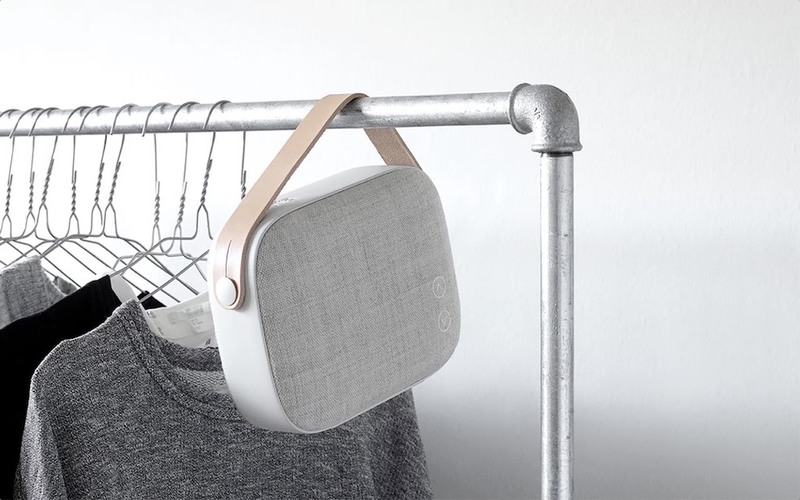 Vifa’s Helsinki is not a cheap Bluetooth speaker, but if you want decent audio on the go and can afford it, then it is the way to go. Cool designer looks, portability along with solid construction and excellent sound make it a winner.